Cleveland is winning all of the championships this year. Well, all but football, of course. But that's not the focus. The focus is on our unbeatable sport teams. 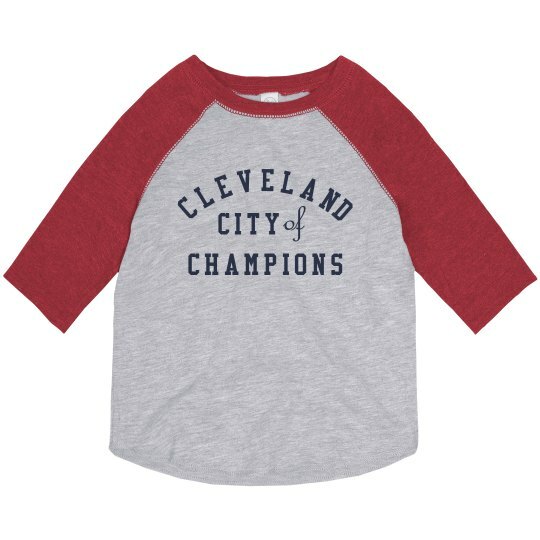 And also on buying all of the best championship gear we can get. Especially these simple, classic, t-shirts for toddlers, kids, and adults that look clean and awesome. Big, block text. Varsity font. Simple yet brilliant. We'll wear them forever. This is the toddler version right here.